The charge of Fleeing or Eluding can be charged as a Third or Second Degree felony in the state of Florida. Fleeing and eluding occurs when a driver fails to stop or remain stationary when ordered to do so by an officer of the law. The crime is defined fully under 316.1935, Florida Statutes. What are the potential punishments for Fleeing or Eluding in Florida? Florida court demarcates three “offense levels” within a third degree felony offense for sentencing purposes. For instance, Fleeing and Eluding while driving recklessly is punished more harshly than a level one Fleeing and Eluding charge. Reckless driving with bodily injury is punished even more harshly. 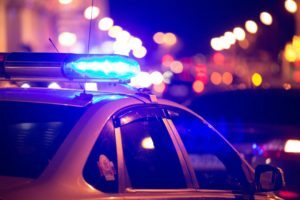 If an individual willfully tries to elude a patrol car with sirens activated and obvious police markings, the charge may escalate to a second or a first degree felony. A second degree felony carries a maximum penalty of 15 years in state prison. A first degree felony carries a maximum penalty of 30 years in prison. Both second and first degree felonies also carry a possibility of a $10,000 fine and revocation of the drivers license for up to 5 years. What are the best defenses to a Fleeing or Eluding charge? If a driver can prove that there were special circumstances that caused disobeyance of a lawful order to stop, this can serve as a partial or complete defense to the charge. The defendant may have a defense against a Fleeing or Eluding charge if jurisdictional markings on the law enforcement vehicle were obscured or not present, or (s)he is otherwise unaware that the attempted stop was made by a duly appointed officer of the law. If the accused was unable to hear the order to stop, (s)he may have a partial or complete defense to the charge of Fleeing or Eluding. The level of charge brought by the prosecution plays a very important role in a court defense. For instance, If a defendant is charged with Sirens and Lights Activated with High Speed or Reckless Driving Causing Serious Bodily Injury or Death, the State must prove all aspects of that charge. How do I defend myself against a Fleeing or Eluding charge in Florida? Because of the serious nature of the Fleeing or Eluding charge, it is essential to retain the services of an experienced attorney immediately. Your ability to transport and move freely may be impeded by the State. This can affect your professional as well as your personal life. The right attorney will be able to petition the court so that your rights are not trampled before and during the trial process. You have a life to live while defending yourself, and the court does not take any responsibility for your outside affairs regardless of the pressure it puts on you. Police officers are trained officers of the court. They know exactly how to research and document the event and what to say in court. You need the same kind of expertise on your side. The court bases its decision on the presentation of facts in the event, and you need dedicated experts of the court to present your case as professionally as the prosecution against you will.